For example, no one knows the whereabouts of Timothy’s particular cave, described in his letter as being in the vicinity of Jericho. Perhaps it was fully emptied, its scrolls used by the community and eventually deposited in the Cairo Genizah. 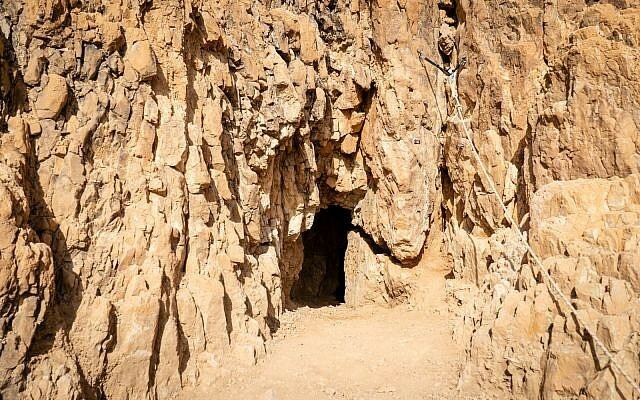 Or maybe it is one of the 11 major caves that held the 900-plus manuscripts and 15,000 tiny text fragments that have been unearthed since the besieged Qumran community stashed them away from the Romans circa 68 CE. Or maybe, just maybe, Timothy’s cave is still out there to be discovered. If so, Gutfeld is positioning his team to find it — as well as a wealth of information on the people behind the Dead Sea Scrolls and their everyday lives. The previous two excavation seasons of Cave 53 bear out the possibility of overlooked artifacts. “We prove in Cave 53 that the caves of Qumran were not excavated, they were surveyed,” said Gutfeld. The previous archaeologists “just entered, they found the scrolls or the jars and they took them,” he said. There was no digging, and certainly no fine sifting of materials during the heady days of the first excavations. Beginning in 1949, teams of excavators — authorized and not — combed the cave-dotted cliffs of Qumran in search of scroll caches. For a while, the finds were abundant. And then, after the mid-1950s, there was nothing new discovered under the blazing Dead Sea sun. For the past three winter seasons, Gutfeld’s team has re-examined previously surveyed, but unexcavated caves. This year, the team took to the heights and examined an uncharted cave to discern if more finds await in the sheer cliffs. Before the expedition concluded, Gutfeld took a pair of journalists up to the cave complexes numbered 52 and 53, based on earlier archaeological surveys that found some 600 caves in the cliffs. After ascending the steep, often unmarked path high above the Qumran National Park, the view is breathtaking (and not only because this journalist needed to catch her breath from the rope-aided climb) from the small man-made terrace outside Cave 52, some 212 meters (695 feet) above the Dead Sea. It is commonly accepted that the major scroll finds originated in 11 caves, explained Gutfeld before we entered the cave located high above the park’s hiking trails. The assignation, he said, is often based on secondhand Bedouin testimony, since several of the manuscripts were purchased, not excavated. He thinks it possible that the massive hoard may have originated in other caves as well, which have until now been overlooked by archaeologists. A faint, spray painted 52 points out the mouth of the cave. In the 1950s, it was surveyed by a member of the original Qumran excavations team, Józef Milik, a one-time Catholic priest and archaeologist. Milik, said Gutfeld, wrote an article in the 1950s suggesting that this spot was in fact the cave described by Timothy. Milik hypothesized that it had been emptied of scrolls by monks sent by Timothy from the Jericho Caranthal Monastery, over a thousand years prior to his survey. “We believe maybe — we don’t know, but it’s a possibility — that it’s not the Bedouin who looted the cave, but that it was done hundreds of years earlier by the monks of the Caranthal Monastery,” said Gutfeld. In the three seasons of excavations so far, the team has discovered indications of “scroll activity” — accessories including jars, textile wrappings, leather ties. This winter, the team also examined a pair of hard-to-enter elevated caves, reachable only with full climbing gear and metal guides hammered into the rock. Spoiler: No scrolls were discovered this winter, either. From an academic point of view, the 2019 excavation was launched asking the question of whether caves found so high on the cliff were used as living spaces or only for hiding scrolls. Through the excavation of Cave 52 this season, and the paucity of material culture from every day life, the conclusion is that it was only meant as a vault. A probe excavation of the even higher Cave 52B offered the same result, said Gutfeld. The opening of Cave 52 “was a rabbit hole tunnel,” which the team enlarged with small picks. “Everything was sifted from the first bucket, even the dirt piles outside the cave,” said Gutfeld, on the assumption that perhaps some of the looters had dropped some pottery. Inside Cave 52, the team found Second Temple scroll jar pottery sherds and a few organic materials. “The minute we lowered the level of the dirt we started to find the pottery sherds from Second Temple period jars,” he said. But there were few other finds, even after excavating a promising back tunnel. “Unfortunately we dug here for two weeks, it’s a very nice tunnel, but we didn’t find anything,” he said. “Our conclusion is that it was used as a scroll cave, but the minute the jars were taken, it was empty,” said Gutfeld. Excavation co-director Price, a pastor and Jewish Studies professor, fervently believes there are more mysteries to be discovered here. Joining Gutfeld and The Times of Israel at the mid-cliff level Cave 53, Price explained how the cave — and its surprise adjacent Cave 53B twin — were excavated beginning in 2017. “We had hoped to find a scroll cave,” Price said honestly of his initial goals. He told The Times of Israel that to find a cave holding the sacred scripture given to the people of this land would be thrilling. “This is one of the first caves excavated south of the plateau. The more famous caves are in the north. And in excavating this,” Price said, sweeping his hand around the cave, “we did find scroll jars — seven in total.” But no scrolls. The cave was identified in a 1993 IAA survey and has interesting man-made features, including a column which supports an overhang ceiling at the cave’s edge. Although it is has remained stable thus far, it is definitely not a place to set a chair and enjoy the view. A second, previously uncharted cave was discovered in an easy climb above Cave 53, and is called Cave 53B. The path to and from these caves is unmarked, but at only 100 meters (328 feet) above the Dead Sea it is much less strenuous than that of caves 52 and 52B, which were the focus of this dig season. (At its highest, this year’s path is only accessible through rappelling). Today, the mouth of Cave 53 gapes wide open, but during initial checks in 2010, it would have been more hidden from view. Then, Price and Gutfeld spotted sleeping mats made of palm fronds next to the man-made pillar in the back of the cave, as well as pottery. Price secured funding for the excavation from private donations (digs are not funded through the Israeli government or universities) and a license was granted by the Staff Officer for Archaeology in the Civil Administration of Judea and Samaria, which is responsible for excavations in the West Bank, where Qumran is located. Ahead of the 2017 winter excavation, all signs were positive. “The expectation was that there was something here to be found,” said Price. And there was: What was originally scheduled as a two-week excavation stretched into an intense five. In addition to pottery pieces for seven scroll jars, through careful sifting of the dust and dirt the team uncovered hundreds of olive and date pits, as well as seeds, telling of ancient habitation of the cave. There was “scroll activity,” including 15 fragments of linen textile that used to cover the scrolls, cut leather straps, and a carved stick which Price said was used to wound the manuscripts into the jars. Through sifting, the team discovered “an acorn that was brought from the Judean Hills over 50 kilometers [31 miles] away,” said Gutfeld. In sum, they filled an almost unprecedented 450 bags of organic material. The two most astonishing finds were discovered in Cave 53B: an intact Qumran-style oil lamp that was discovered at the mouth of the cave, and a beautiful bronze pot that was found in the back in a previously undiscovered chamber. The cave complex also offered signs of much earlier habitation: Within moments of arriving to the terrace outside its mouth, Gutfeld bent over and picked up several pieces of pottery. In one hand he held a few sherds from the Second Temple period. In another, prehistoric pottery from thousands of years ago, possibly Neolithic or Chalcolithic. Other prehistoric finds include arrow and spear heads, flint blades, an interestingly carved carnelian seal and a piece of precious obsidian, which would have somehow made its way from Turkey. 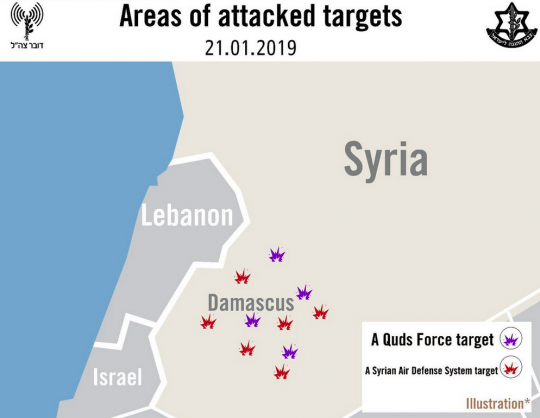 “There was a lot of activity here, but it wasn’t until the Second Temple period that the jars were brought in, probably from the Qumran community, and placed here,” said Price. 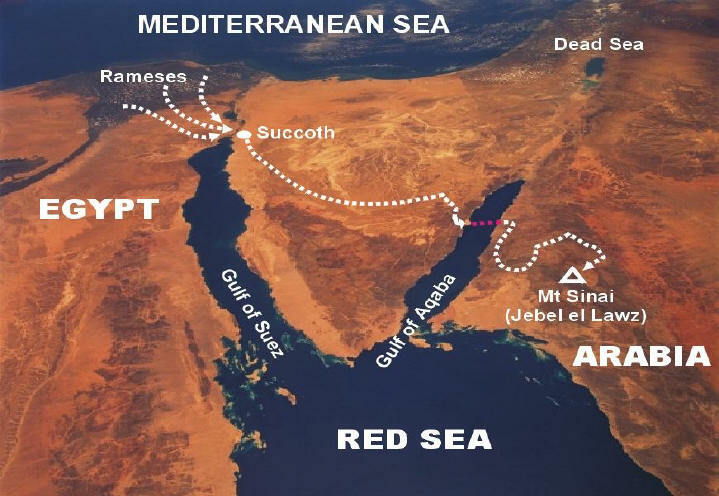 Price has a theory why the scrolls are absent from this spot: When the Qumran community was attacked in 68 CE and the Romans turned the plateau into a fortress, the northern path was closed. So the residents turned south, possibly to Masada, and picked up their scrolls from this cave on the way. Cave 53 is now excavated in parts down to bedrock. Charcoaled remains of thousands of year old fires can be seen on the pillar next to straggly strands of 2,000-year-old sleep mats. The team said there is no more work to be done here, and it will soon look for another location. In early February, Gutfeld will begin surveying for locations in the middle terrace of the cliff for the 2020 excavation. “Hopefully we’ll find another ‘juicy’ cave, like Cave 53,” he said. “There is still much more to do, especially in this region,” said Gutfeld. According to a recent Haaretz article, head of the IAA Yisrael Hasson is on board with the team’s goals. “The desert is full of hiding places. Until we have thoroughly checked and mapped them all, we won’t declare the work finished,” said Hasson. Hasson said his archaeologists are also working in the area: “Six months ago we excavated six caves and more recently we excavated two more caves in the northern Dead Sea area, but I won’t say more because I don’t want to give information to robbers… We’re doing ‘low profile’ work to stay ahead of the competition,” said Hasson. Each year the team must apply for a new dig license from the Civil Administration of Judea and Samaria. Part of the application process includes secure funding for both excavation and publication of finds. For this team, the funding comes through private donations — not always easy to come by despite its high-profile objectives. But his third reason for why the excavation’s West Bank location is not significant is that scrolls are overwhelmingly important to Judaism and early Christianity. They are a direct tie to the historical Land of Israel, which predates modern borders. “When I take my kids to the [Israel Museum’s] Shrine of the Book and they can read directly from the scrolls, it says everything,” said Gutfeld. The Ark, with two stone tablets listing the Ten Commandments, was built by the Israelites as they conquered the Holy Land. A group of real-life Indiana Joneses believe they may have solved one of the mysteries of the lost Ark of the Covenant. Prof Israel Finkelstein, of Tel Aviv University, is leading an archaeological dig at Kiryat Ye’arim, near Jerusalem, and believes that it is where the Ark was kept for 20 years. It was captured by the Philistines, but after afflicting them with plague and famine, was returned to the Israelites at Kirjath-Jearim. 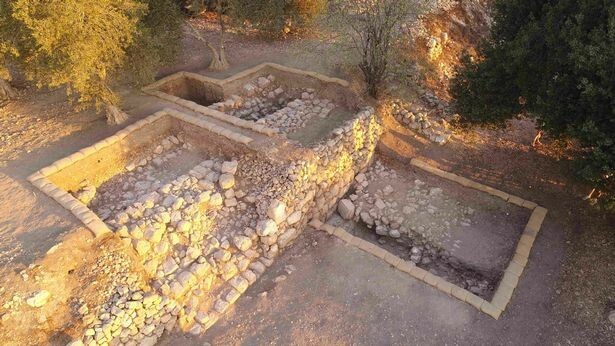 Archaeologists are now almost certain the town of Kiryat Ye’arim is the same place. Prof Finkelstein said: “It fits the detailed description in Joshua. In Byzantine times, historian Eusebius said that Kirjath-Jearim was nine or 10 miles west of Jerusalem, which this site is. “Also the name of the hill in Arabic – Deir el-Azar – preserves the name of the Byzantine monastery: the Monastery of Elazar. The Ark is said to have disappeared from Jerusalem in the sixth century BC. And though he has found no evidence of the Ark itself, Prof Finkelstein believes he can shed some light on its true nature. “We are not searching for the Ark. We are trying to understand the Ark narrative, who composed it, when and why. “The biblical narrative probably comes from the Northern Kingdom (Israel) and was seemingly composed in the first half of the 8th century BC. Lending weight to this theory is a huge platform discovered at the site. Professor Finkelstein said: “Kirjathjearim was a typical hill country town, on a peak, with relatively steep slopes. Kirjathjearim straddled the border of two ancient kingdoms – Israel to the north and Judah to the south – with excavations suggesting the site was used by the former to control the latter. Against this backdrop, Professor Finkelstein believes the Ark story was invented to give Kirjathjearim religious legitimacy as an administrative centre. It also emphasises a fabled past when the two kingdoms were united under a single ruler, further legitimising ancient Israel’s rule over its southern neighbour. Life was not always good for the Jews under the Ottomans and/or the Turks. But what is very clear is that the current Sultan, Recep Tayyip Erdoğan, is an impudent anti-Semite. His repeated statements make it clear that his role model is former Iranian president Mahmoud Ahmadinejad, and not sultans of yore who treated the Jews fairly. This attitude of Erdogan’s did not start today, or even with the 2010 Mavi Marmara crisis, when IDF troops and Turkish activists clashed on board a Gaza-bound boat with deadly results. When he was younger, Erdogan wrote a play called “Mas-Kom-Ya”, which depicts a conspiracy by the Freemasons, the Communists, and the Jews. Since 1984, Turkey has destroyed 3,000 Kurdish villages, implemented mass transfer of the local population and caused a “Kurdish Nakba” of two million people who became refugees in their own country. During this orchestrated war on the Kurdish people, there have been massacres during which 30,000 people were killed. Even if Israel made every effort, it could not scratch the surface of the horrors perpetrated by the Turks, not those of recent decades and certainly not those of the last century, including the genocide committed by the Turks against the Armenians, and the atrocities committed in the framework of the expulsion of Christians at the end of the First World War. Stone From High Priest’s Breastplate Discovered? The present owner has contracted with a South African businessman to find investors who are willing to purchase the stone and bring it home to Israel. Both parties prefer to remain anonymous. When he saw the stone and understood what it was, the businessman was dismayed, understanding that it could easily turn into a commodity, an object of greed.